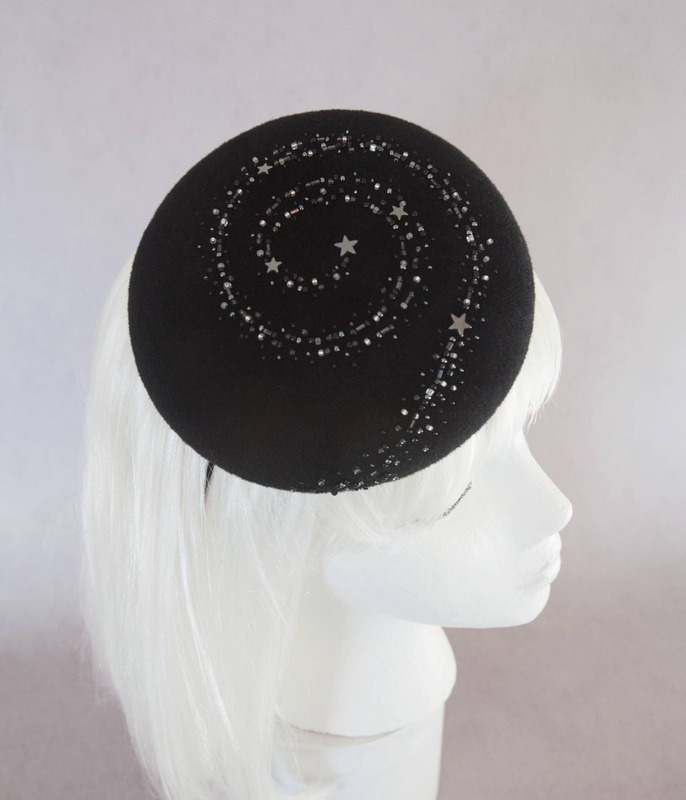 Celestial sparkle on a fascinator perfect for a holiday party! 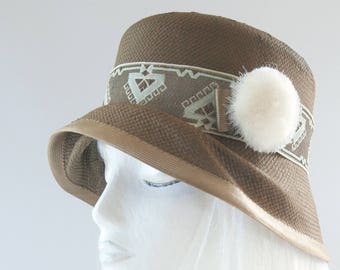 A one-of-a-kind cocktail hat. 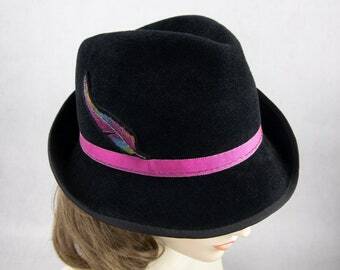 Black velour fur felt was blocked by hand onto a wood hat block. A swirling spiral stars motif is made of individually placed beads in shades of black, gray and silver, with hematite star beads. 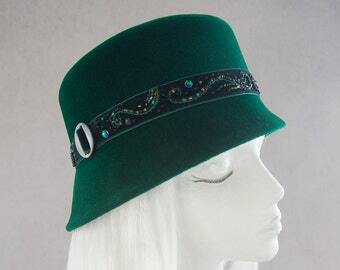 Inside is lined with 100% silk in black, teal and silver stripes and finished with a Silverhill Creative Millinery brand label. 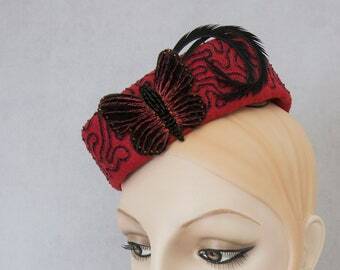 This fascinator is worn by slipping the elastic behind your head. 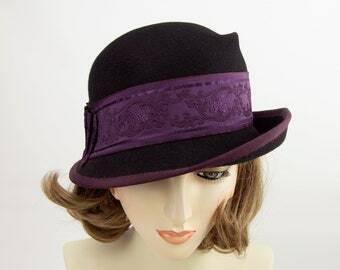 The elastic hides discreetly underneath your hair.